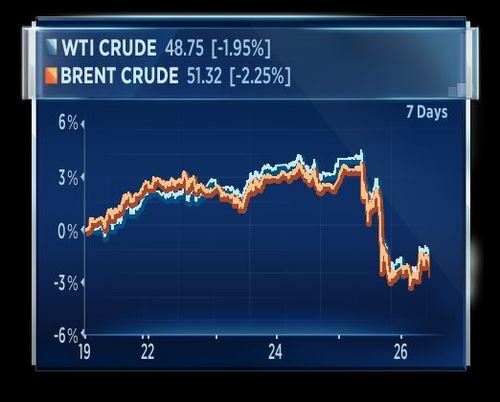 Crude prices continue to decline after their worst losses in 3 weeks as major oil producers fail to shock and awe traders with an extension to the output deal.‎ But the Russian and Saudi oil ministers tell CNBC they won't rush to cut production further. Donald Trump also condemns the US intelligence leaks in the Manchester attack after UK prime minister Theresa May raises her dissatisfaction in a brief chat at the Nato meeting. 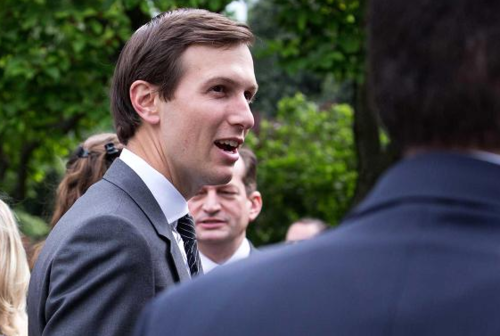 And NBC learns that Trump's son-in-law Jared Kushner has come under FBI scrutiny in the Russia investigation, as he reportedly has significant information for the inquiry. G7 leaders have arrived in Sicily for a two-day summit, where the will discuss security, trade and climate change. Emmanuel Macron, Theresa May and Donald Trump will debut for France, the United Kingdom, and U.S. respectively. The leaders are expected to discuss security and climate change. 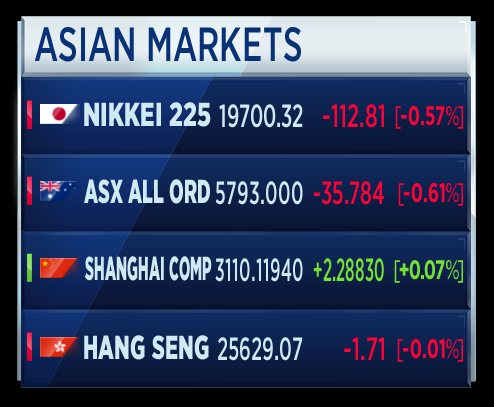 In Asian trade, the markets look like this. The Japanese Nikkei is yen markedly as a stronger yen has taken effect there. Oil has also pressured stocks lower. In the United States, stocks closed higher on Thursday as tech stocks climbed while Wall Street remained positive about the Federal Reserve's plan to trim its balance sheet. 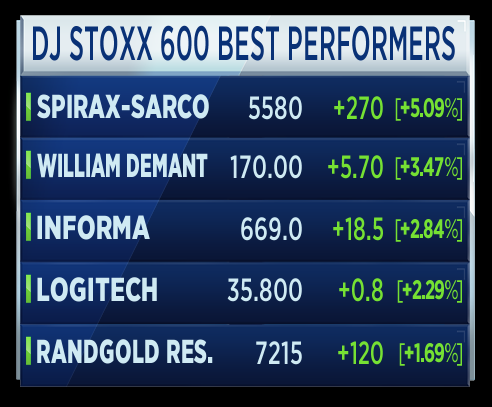 The S&P 500 posted a record close and notched a new all-time intraday high. Information technology was among the best-performing sectors, rising 0.8 percent. Tech has been on a tear this year, surging more than 19 percent. 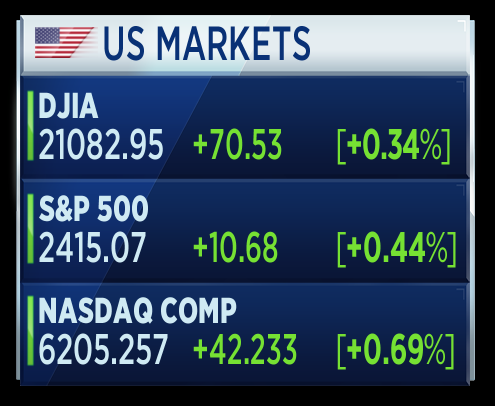 The Nasdaq composite also recorded all-time highs on an intraday and closing basis as Netflix, Alphabet, and Facebook shares all rose. Amazon also climbed, nearing the $1,000 per-share mark. 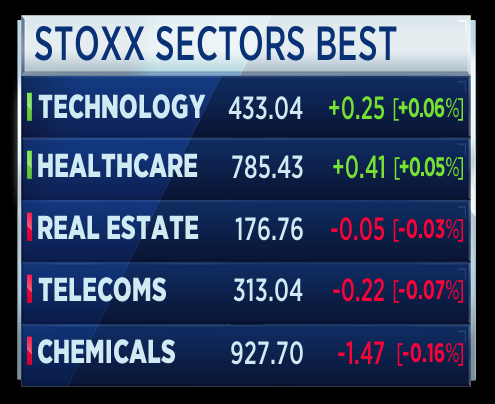 The Dow Jones industrial average, meanwhile, ended Thursday's session within half a percent away from its record high, rising 70 points, with UnitedHealth and 3M contributing the most gains. 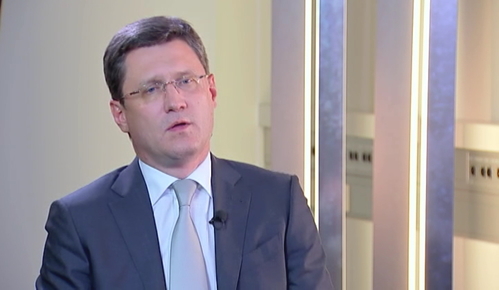 The Russian Energy Minister, Alexander Novak, has told CNBC that OPEC is still a useful organization for positive goals. He rejected the idea that Russia is considering OPEC membership, however. Novak said the oil market would see a continuation of rebalancing between global demand and supply. The FBI believes that President Trump's son-in-law, Jared Kushner, has "significant information" relevant to the investigation into links between Russia and the Trump presidential campaign. According to an NBC News report, Kushner, who is also one of Trump's senior advisors, is not in the same category as Michael Flynn and Paul Manafort, who are formally considered subjects of the investigation. A U.S. federal appeals court has upheld a lower court ruling blocking the Trump administration from restricting travel from six Muslim-majority countries. The Fourth Circuit ruling said it was unconvinced the block "has more to do with national security than it does with effectuating the president's proposed Muslim ban." The pound is the worst performer among major currencies today. In the UK, the Labour Party has reduced the ruling Conservative Party lead to 5 points in one poll. 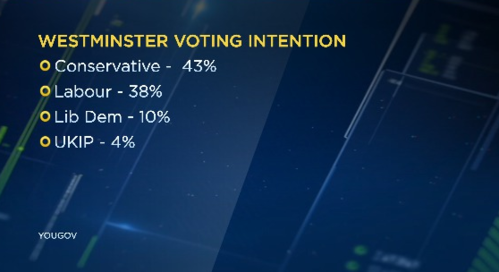 According to the latest YouGov poll, the first to be published since the attack in Manchester, the Conservatives have lost one percentage point in a week. The Labour Party has gained 3 points and is now in second place with 38 percent. 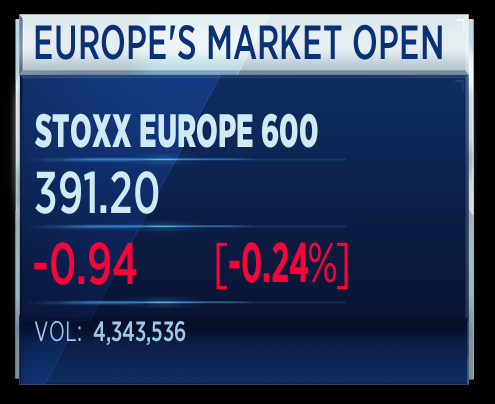 European bourses are forecast to open lower Friday as slumping oil prices continue to weigh on investor sentiment. The FTSE is expected to open flat at 7,514; the DAX is seen down 5 points at 12,611, and the CAC is also seen lower by 5 points at 5,327. 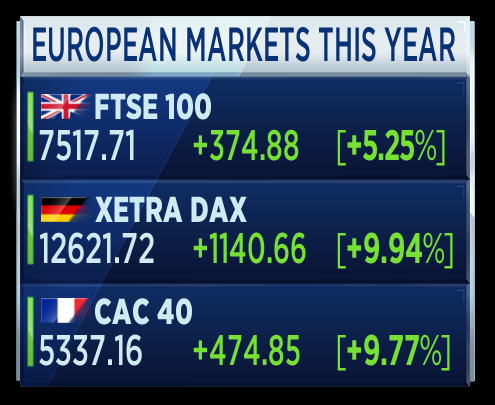 So far this year, European stocks have enjoyed inflows as corporate earnings improved and investors rotated from U.S. equities which had been considered expensive. The UK has resumed intelligence sharing with the United States after a brief halt yesterday. Britain temporarily cut off the flow of information in response to leaks about the Manchester terror investigation by U.S. security services. British Prime Minister Theresa May raised the issue with President Trump, who condemned what he described as the 'alleged' leaks. Meanwhile, the investigation into the network behind the suicide bombing at the Manchester Arena continues at a swift pace, with the police making an additional arrest overnight. President Donald Trump reiterated his call for NATO members to spend 2 percent of GDP on defense while attending his first meeting of the 28-member group. Neil Dwane, Global Strategist at Allianz Global Investors is on set as guest host and he says the key message from Trump at NATO is that Americans now believe that individual countries need to stand up for themselves and that the U.S. is set to pull back as a "global policeman". On why the U.S. continues to ramp up defense spend, Dwane argues that many Americans "still think they are at war" and that the ramifications of 9/11 are not over. Dwane adds that many in the United States think they will be the ultimate victims of terror activity which has its roots in North Africa and the Middle East. The strategist says Thales, Cobham and Ultra are 3 defense stocks he likes given the current climate as well as their cyber capabilities. He shies away from a Boeing or Lockheed Martin as they "make big things that once ordered, you will get in 5 years time. We think inventories are coming under control and demand is very resilient. Tesla and other electric companies are not going to resolve anything in the next 3 or 4 years and we need oil. British police have arrested a tenth person in the wake of the Manchester bomb attack, according to a Reuters report. Eight men are in custody after a man and woman were released without charge. 22 people are dead after the suicide bomber detonated a device at a packed concert hall in Manchester. Sectors looking like this out of the gates. The U.K. 's FTSE getting a slight bid as sterling falls. 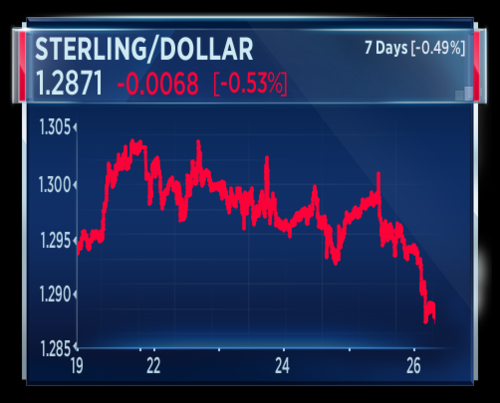 Sterling lower on suggestions that Labour is catching the Conservatives in polling data as a general election looms. 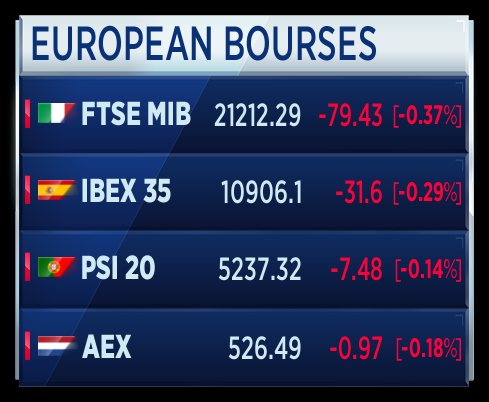 Peripheral European bourses look like this. 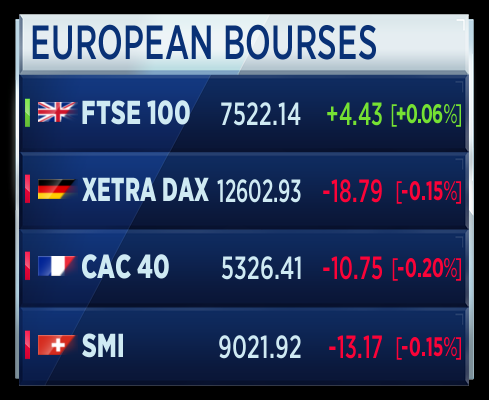 These are the biggest moving stocks in Europe this morning. 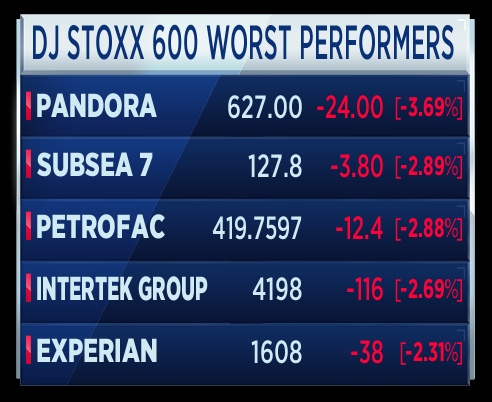 Oil-related stocks taking up a number of slots on the worst performers board. The Turkish economic confidence indicator has risen for the fourth straight month. The May number jumped 1.1 percent, according to the statistics institute. It now sits at 100.5, which now means an overall balance of optimism as anything below 100 is pessimistic. Oil stocks lead European markets lower, as crude prices suffer their worst losses in 3 weeks after major producers fail to impress with their extension deal.‎ The Saudi energy minister tells CNBC price is not the problem. Pay up! That's the message from President Trump, telling his fellow NATO leaders to increase defense spending and accusing them of owing "massive sums" to the US and the alliance. Sterling hits a two-week low against the dollar and a two-month low against the euro, as the UK Conservative party sees its lead reduced even further in the latest election poll. Former US President Barack Obama has met with German Chancellor Angela Merkel in Berlin for the first time since leaving office. Speaking at the Brandenburg Gate, Obama said the German Chancellor has been one of his favorite partners throughout his Presidency and praised her efforts during the refugee crisis. In a veiled reference to Trump's attempts to cut support for international aid, Obama said those programs are essential for national security. The Saudi Energy Minister, Khalid al-Falih, has told CNBC's Steve Sedgwick that price is not necessarily the main driver for controlling supply and demand in oil. 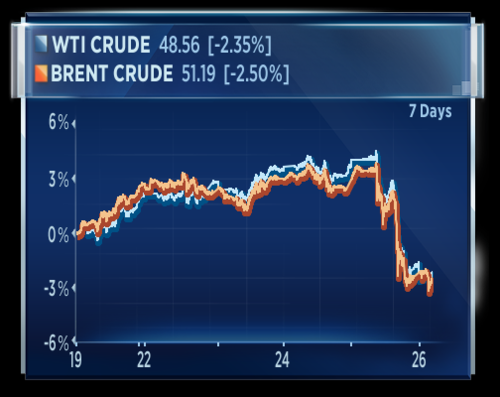 Crude prices continue to slide after tumbling nearly 5 percent following OPEC and other major oil producers' decision not to increase production cuts. The oil producers agreed to extend existing production caps through March of 2018 but kept levels steady. OPEC and some non-OPEC members agreed Thursday to extend oil supply cuts of 1.8 million barrels per day for a further nine months in a bid to stem flailing prices. However, the move disappointed some who had hoped for longer or deeper cuts. CNBC's Steve Sedwick is in Vienna says OPEC has gone for a longer term strategy to rebalance the oil market "where the market might have preferred shock and awe". Donald Trump is ready to fight Germany in an auto battle according to Germany’s Der Spiegel magazine. 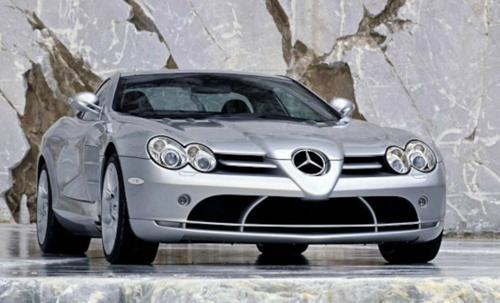 Donald Trump reportedly owns a Mercedes-Benz SLR McLaren like the one pictured below. Might he be thinking it's time to buy American? Quick Sale Required. Call 0800 White House. Ask for Donald. 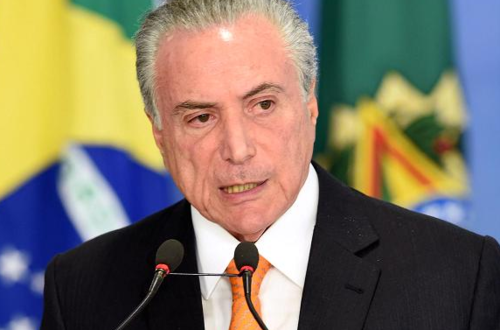 I can't see anyone being particularly keen to follow Mr. Temer as the Brazilian leader as only 5 months later they will have to go the polls. Neil Dwane, Global Strategist, Chief Investment Officer Equity Europe at Allianz Global Investors says there could be at least 12 months of uncertainty in the Brazilian investing scene. He advises sticking with it for the ride if you are already invested. Some in Brazil want the resignation of President Temer, fresh elections, and the withdrawal of economic reforms. Our video editor has gathered a collection of Trump shakes. It is at high speed so tricky to bathe in the full length of an arm juddering grasp from the Donald. His handshakes have made headlines again as a lengthy grasp with new French president Emmanuel Macron went viral on social media. Nevertheless, it does convey the continual merry-go-round of public embraces that the U.S. president must endure. Tap play for 30 seconds of Friday fun. The EU Council President Donald Tusk has said Russia and Iran should stop wasting time over Syria and help to stop the war for the sake of the victims. Tusk has said that will be the most challenging G7 in years. Taking his turn to speak, European Commission President Jean-Claude Juncker has said he "wants to build bridges, not walls". Juncker does then say that there is obviously a large number of people who see globalization as a threat and this needs to be recognized. The chief markets correspondent at Reuters is questioning the value of U.K. Prime Minister's snap election. FX traders are noting the effect. While others note this sort of result could lead to a parliament without a clear mandate. Jean-Claude Juncker has told gathered press that it is untrue that U.S. President Donald Trump took an aggressive stance on the German trade surplus in Brussels talks. Juncker said press reports claiming he described Germany as "very bad" were exaggerated. 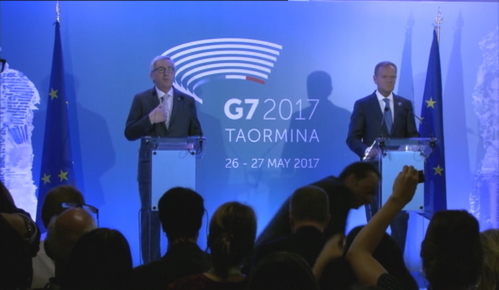 Juncker has been speaking at the G7 summit in Taormina, Sicily. The EU council president Donald Tusk has told reporters he was positively surprised by Donald Trump's comments on Brexit. Tusk has claimed that Trump expressed a belief that Europe was now more united after Britain voted to leave the union. Tusk also said that Trump was very tough on North Korea in discussions in Brussels and that the U.S. could count on EU support. 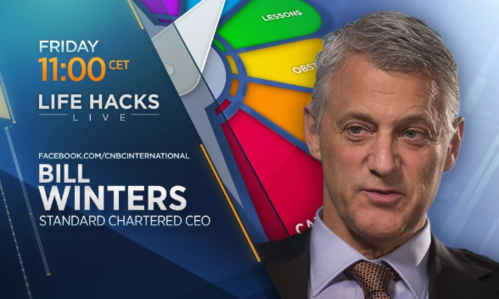 Of course, we don't want you to leave the blog or anything but in around ten minutes time on our CNBC Facebook page you can catch our exclusive 'life hacks live' interview with the CEO of Standard Chartered, Bill Winters. 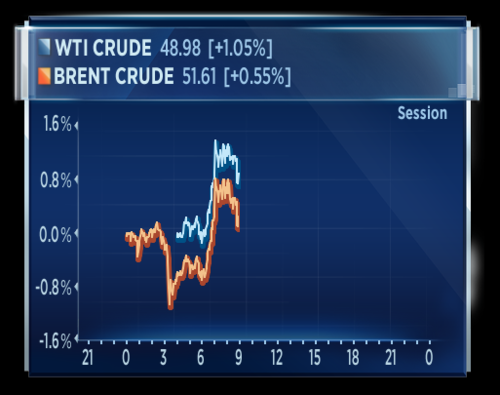 The price of crude has ticked back up this morning after its big losses yesterday. U.S. President Donald Trump has reportedly moved markets with a comment to the Japanese Prime Minister Shinzo Abe that North Korea was a "big problem" but he should bet on it being solved. It is very much on our minds...It's a big problem, it's a world problem and it will be solved. At some point, it will be solved. You can bet on that. 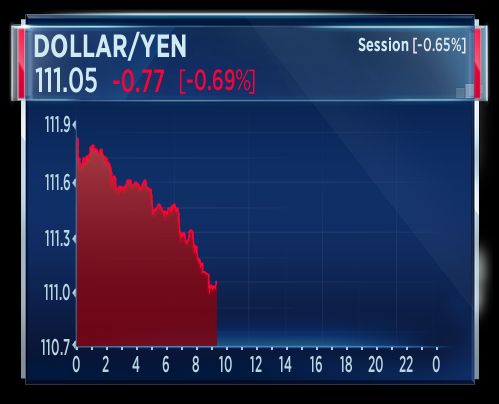 The dollar has been sold off in favor of the yen and according to FX analysts writing for Reuters, this is a flight to safety from risk in reaction to the Trump commentary. Three week high and rising. Whenever you hear the words flight to safety it is probably best to check the gold price. 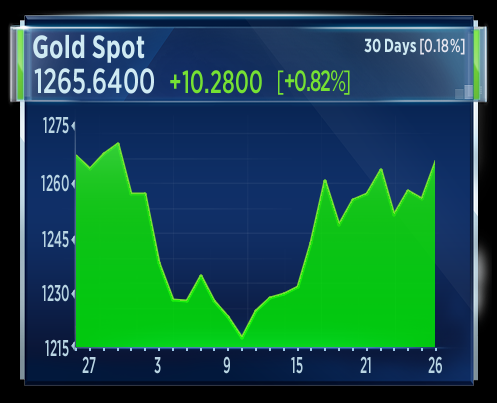 Gold has ticked up again in reaction to market nervousness over a comment from Donald Trump that appears to suggest the United States is ready to deal with North Korea. Spot gold up nearly one percent today. The U.K.'s Conservatives have seen their lead reduced to 5 points in the latest poll. According to the YouGov survey, the first to be published since the attack in Manchester, Theresa May's party has lost one percentage point in a week, while the Labour Party has gained 3 points and now stands at 38 percent. 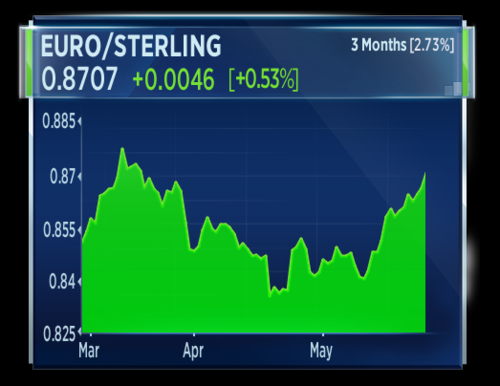 In reaction, the euro has hit a two-month high against the pound. 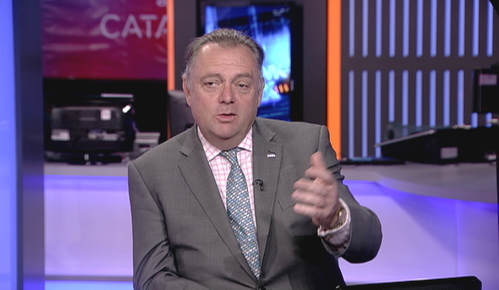 Neil Dwane, Global Strategist at Allianz Global Investors says Theresa May's election manifesto has focussed on the wrong issues and has attempted to wrestle through unpopular policy. He said May's campaign should have stuck to hammering home the need for stability and a united approach to Brexit proceedings. Imagine the power of that handshake. The Kremlin has said that Vladimir Putin's travel plans will not overlap with Donald Trump's while the U.S. leader is in Europe. The Russian leader is traveling to Paris. The pound was down against its major peers today after polling figures for the UK unsettled investors. As campaigning for the general election resumed yesterday, polling figures have revealed that the Conservative lead has narrowed further to five points as support for Labour surges. This follows a similar stumble in the pound last week during controversy over the Conservative social care policy. With the pound sliding below $1.29 against the dollar and at a two-month low against the euro, uncertainty over the outcome of the election is beginning to trouble the markets. In April when the election was called, a Conservative victory appeared all but secured, providing the government with a strong mandate to move forward with Brexit plans for negotiations, while also providing analysts more certainty as divorce proceedings with the EU got underway. 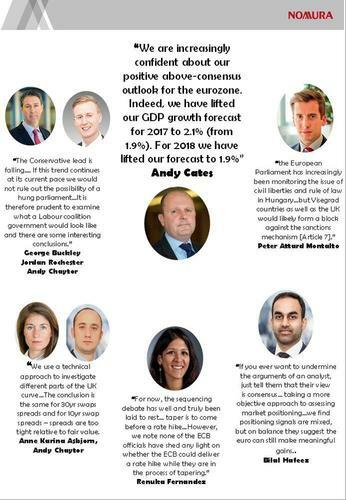 Now, the very real possibility of a Labour victory with two weeks before polling day, however unlikely, raises the prospect of further disruption for analysts and a return to volatility in the pound as a new government determines the Brexit process. Whilst the pound has been able to remain steady in face of the week’s tragic events and disappointing data, it is clear that the election is the most powerful driver behind the UK’s currency. The next two weeks could see more volatility for sterling as polling figures in the run up to the election become more frequent. Analysts will be looking for any definitive signs that the Conservatives can win the election before the pound can consistently return to the levels seen recently. German government spokesman, asked about Trump comments, says trade balance is neither good nor bad. That's according to Reuters. European Council President Donald Tusk said on Friday he was "positively surprised" by Donald Trump's support for the EU as it manages Britain's departure, adding the U.S. president had agreed Brexit was just "an incident and not a threat". After meeting Trump on Thursday in Brussels, Tusk told a news conference: "It was clear for both of us that the EU at 27 is more united after Brexit than before Brexit." I tried to convince him, and I deeply believe this, that Brexit is very important and dramatic, but it is just an incident and not a threat. And President Trump agreed. It was for me a very positive moment in our discussions. European Commission President Jean-Claude Juncker said Brexit was only mentioned in passing at the meeting, describing Brexit as "a real tragedy". UK PM May reaffirmed her wish for early clarity on the position of EU citizens in the UK and vice versa in Brexit talks after meeting France's Macron in Italy. That's according to Reuters citing the PM Spokesperson. Britain's May also made clear that Britain and EU member states should discuss future relationship with EU at same time as discussing withdrawal terms. May is expected to meet U.S. President Trump at G7, according to a British government source. Total CEO Pouyanne says OPEC decision on output cut gives visibility until at least 2018. He also expects oil stocks to fall in second half of 2017, high demand expected this summer. That's according to Reuters. Oil prices edged higher on Friday as some investors were tempted back to a market that tumbled five percent in the previous session on disappointment that an OPEC-led decision to extend current production curbs did not go deeper. 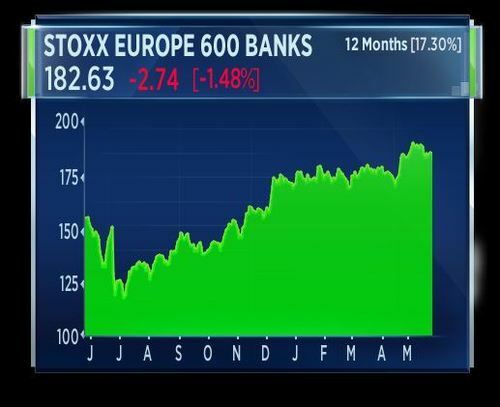 Shares of U.S.-listed European banks down premarket. 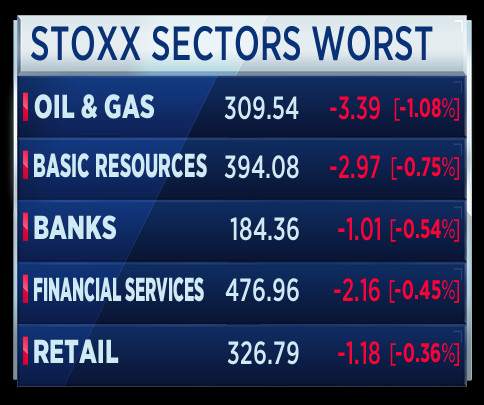 Deutsche Bank down 2.1 percent, Barclays down 1.9 percent, Lloyds Banking Group down 2.3 percent.